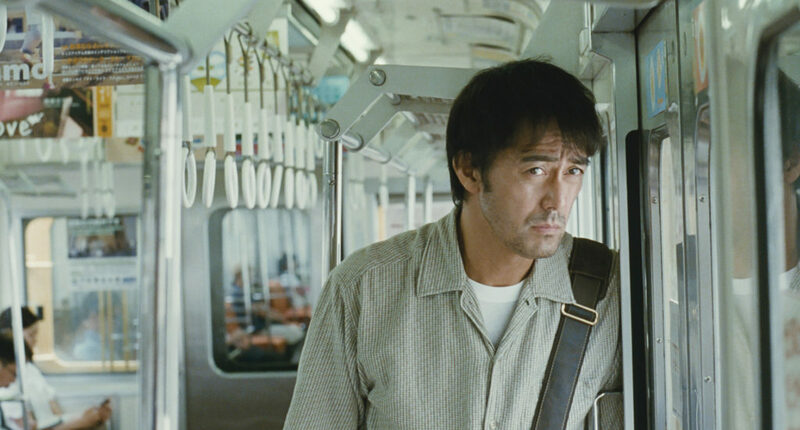 With After the Storm, Japanese writer-director Hirokazu Kore-eda continues to prove himself as one of the most sensitive observers of the intricacies in the ties that bind families — even broken ones. His latest, which he also has editing credit for, follows Ryôta (Hiroshi Abe) a middle-aged, divorced private investigator and slacker novelist with questionable morals. With only monthly visits to see his son Shingo (Taiyô Yoshizawa) he often dovetails his job into spying on his ex Kyôko (Yôko Maki) and son. Ryôta’s mother, Yoshiko (Kirin Kiki), meanwhile, is recently widowed and is enjoying new perspective on life without the husband she often compares to her son, who both share a gambling addiction. Just like the last film we reviewed by Kore-eda (Film Review: ‘Like Father, Like Son’ looks deep into familial bonds by undoing them), the characters’ multi-dimensional quality arise from small observations with time and circumstance, building toward a slyly anticlimactic typhoon, that traps the fractured family together at Yoshiko’s apartment. The film unfolds in slight but always engaging scenes that build to this moment, patiently rounding out the characters until the extended overnight stay at Yoshiko’s condo apartment. No one understands this patience better than Yoshiko, who makes a stew that takes weeks for the flavors to blend just right. But she is not infallible, as her tendency toward time also means that the ice treats she makes with syrup taste like refrigerator and are too frozen to properly enjoy. It’s a metaphor for her accomplishments as an imperfect mother who still loves her son and much more accomplished daughter. The chaos of life and the well-intentioned idealism of dreams rarely collide as subtly as this. Japanese culture frowns on directness, so critiques arise in metaphor, like Yoshiko’s comparison of her son to a tangerine tree on her balcony too stubborn to bear fruit. 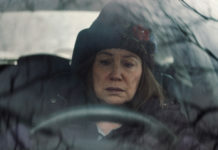 When it comes time for Ryôta to finally learn something and maybe change, during a rather moving scene alone with his mother, as he cleans the ash bin of his father’s alter, the film’s slow pace reveals itself as integral to the characters’ own belated growth. This is not to say the ride to this moment doesn’t have its pleasures. This may be Kore-eda’s funniest film in a long time. The score by Japanese pop artist Hanaregumi with its whistling and ironically minor key melodies, capture the film’s melancholy charms. Despite a job that includes shakedowns and a rather mean-spirited boss, Abe’s disheveled, stubbled and wide-eyed Ryôta never feels like a menacing character. His young partner (Sôsuke Ikematsu) often shows incredible empathy for him. So much so, Ryôta asks him why he is so nice to him. He’s a bit of a mess and a bit mixed up, but when Ryôta tells a high school kid he blackmails with pictures of him and his teacher in compromising positions, the kid basically calls them losers. Ryôta chides him, “Listen, kid, it’s not that easy growing up to be the man you want to be.” This is a concern that constantly emerges when Ryôta has time to pause. 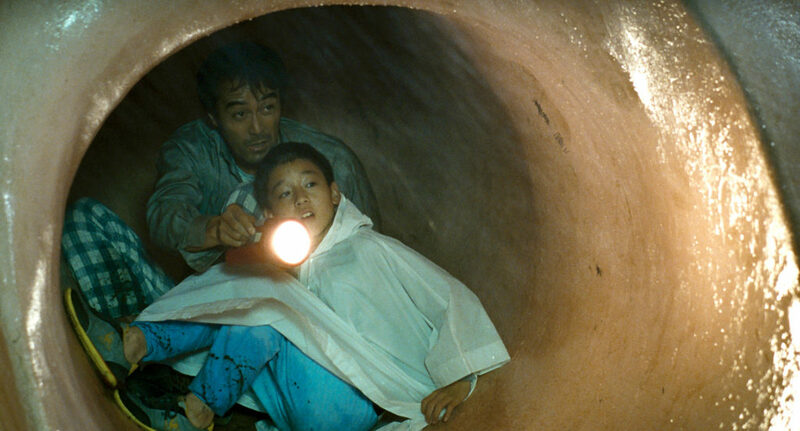 From his little son’s startlingly similar aspirations to his mother’s regrets, After the Storm beautifully captures that frustrating truth that both fuel and freeze human drive with an awareness that Kore-eda turns into a poetic kind of existentialism. On April 14 it opens in Fort Lauderdale at Savor Cinema and in Hollywood at Cinema Paradiso. On April 21, it arrives at the Miami Beach Cinematheque. For screening details in other parts of the U.S., visit this link. Film Movement provided a screener link for the purpose of this review.